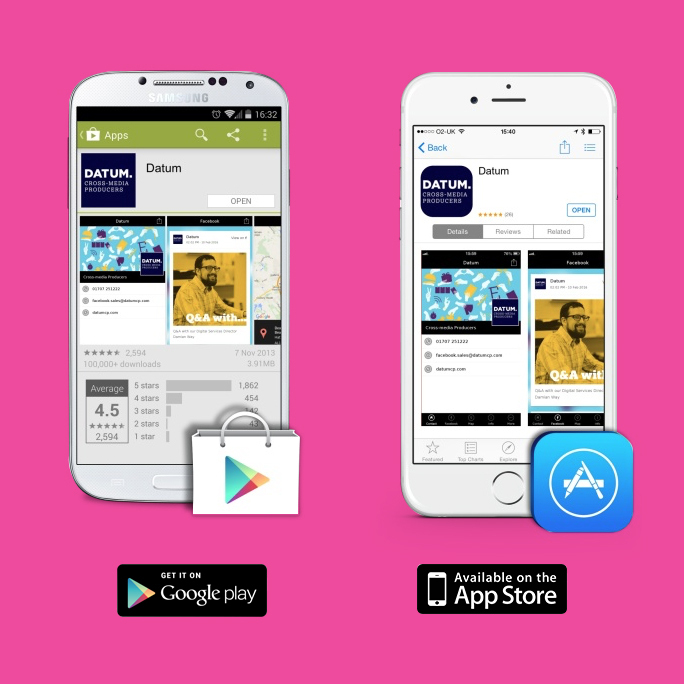 We’ve created a new Datum mobile app which is ideal for graphic designers and marketeers alike, putting the breadth of our cross-media experience at their fingertips. This handy app provides them with up-to-date news, latest projects produced and special offers. Why not try the app for yourself and let us know what you would like to see in the next edition.